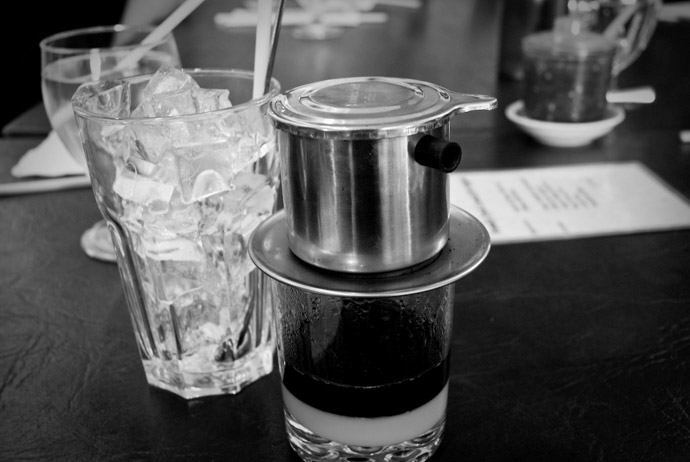 Are you new to Vietnamese coffee? 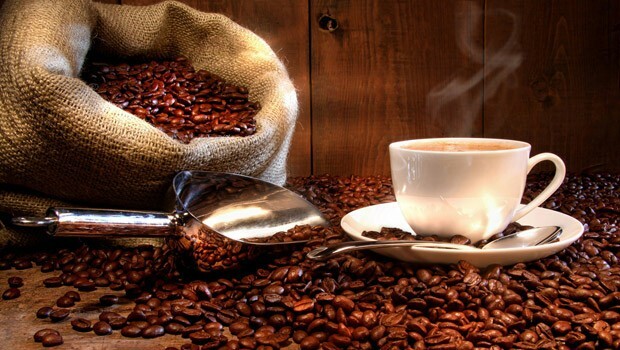 If so, then you should read on this page, as here we introduce all you need to know about the coffee industry of Vietnam – an important source of Robusta coffee in the world. Coffee production has been a main source of income for the country of Vietnam since the early 20th century. In 1857, the French colonial government presented coffee to Vietnamese people and a large-scale production on coffee plantations began in the early stage of the 20th century. 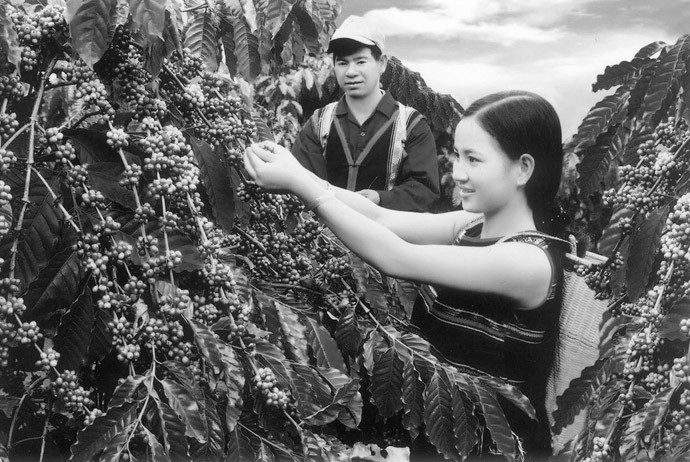 During the Vietnam War, the Vietnam cafe production was interrupted, particularly in Buon Ma Thuat (Buôn Ma Thuột), which was already the main centre of Vietnamese coffee production. After the end of this war in 1975, the coffee industry was nationalized in Vietnam. Thanks to reforms of 1986, the private ownership was re-introduced and was a big boost for the coffee industry. After this reform, a large number of Vina cafe businesses were built, such as Trung Nguyen (Trung Nguyên) (1996) or Highlands Coffee (1998). The production of Vina cafe is highly focused on the central highlands, approximately 80%. Dak Lak (Đắc Lắc) province alone nowadays produces about 43% of the national coffee output, with Gia Lai (Gia Lai) and Lam Dong (Lâm Đồng) contributing extra 41%. You cannot find any place in the world where the coffee production has strongly increased with explosive rates like in Vietnam. In 1990, this country just produced approximately 1% of the coffee production of the world. Then, in 2014, this small beautiful country overtook Brazil to become the largest coffee exporter in the whole world. Now, Vietnamese coffee becomes the largest agricultural export of Vietnam just after rice. Nonetheless, the main type of Vietnam cafe is Robusta, which is mostly used for instant coffee or blends. Currently, Vietnam is the King of Robusta on the worldwide market. Yet, despite Robusta coffee makes up for up to 95% of the production of Vietnam cafe, Vietnam also grows Arabica, which is nowadays mainly grown in Northern provinces like Quang Tri (Quảng Trị) and Son La (Sơn La). Nevertheless, the most important areas that grow coffee are situated in Dak Lak (Đắc Lắc), Kon Tum (Kon Tum) and Lam Dong (Lâm Đồng). Dong Nai (Đồng Nai) province, which lies between Ho Chi Minh (Hồ Chí Minh) City and the highland areas is also a main producer of Robusta coffee. Style Of Vina Cafe – What Is Vietnamese Coffee Style? Actually, the style of Vietnamese coffee, particularly in Buon Ma Thuot area, has features that distinguish it from other types of coffee as well as brewing methods. The preparation process along with the blend of beans gives Vietnam cafe a particular style. Coffee is traditionally brewed in each portion using a French drip filter named “phin”, which contains one small cup, one filter chamber and one id that functions to catch dripping coffee. After weighing down the beans with the thin lid, you add hot water to the phin. Water then slowly trickles through into that cup. Coffee served this way will force you to drink slowly and savor the experience. When enjoying it, you will literally watch the coffee being made step by step, which not only stokes your want, but also forces you to sit for several minutes whilst the coffee is made. Not all types of Vietnamese coffee are served this way. There are still fast cafes where the coffee has been brewed and is ready for customers to drink instantly and take away. However, the method of classic slow drip coffee is a great treat for people living in the hustle and bustle cities of Vietnam. Though the phin looks rather small, Vietnam cafe should be served like that as it is so strong, so you do not need a lot. Coffee is obviously a popular beverage in a lot of countries in the world, yet every place has its own coffee culture. 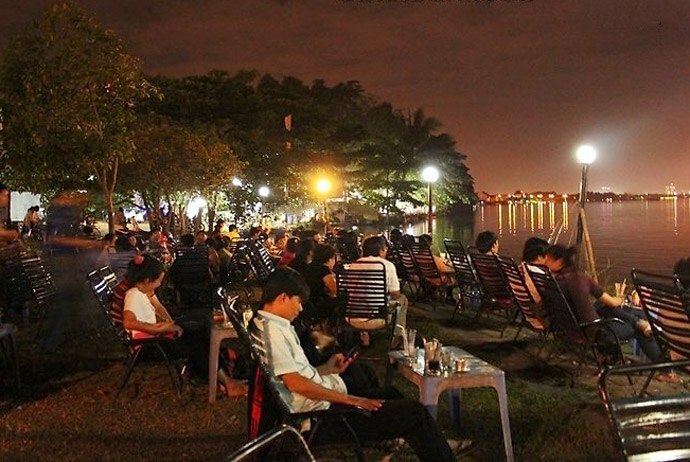 So, what is about Vietnam cafe culture? Vina cafe is well-known for the sweetened condensed milk. Dreamy, thick and sugary, sweetened condensed milk is the ideal counterbalance for the dark-roasted, incredibly strong Vietnamese coffee. Coffee is an important part of the daily life in Vietnam. You could find Vietnamese people drinking coffee in the morning, noon or night, at café shops or on little plastic stools on the busy street pavements. Cafes in indoor buildings or more casual street-side stalls are great gathering places for both the youth and the elderly in Vietnam, regardless of their gender or job. 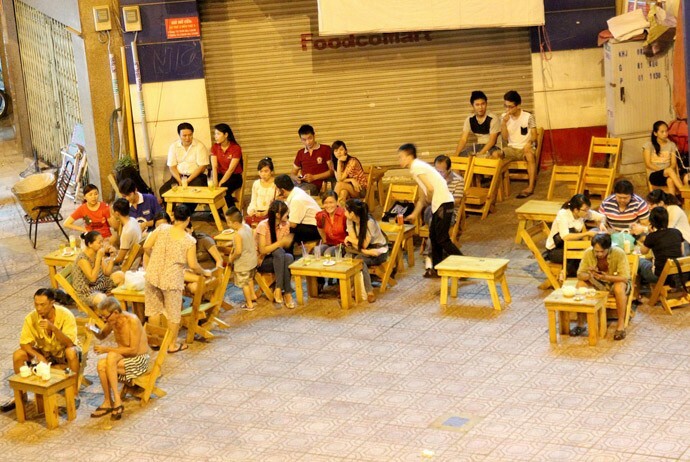 The most interesting thing about Vietnam cafe culture is that you will find a lot of people sitting on the old wooden or plastic stools along the pavements to sip their coffee cups and watch the world go by. 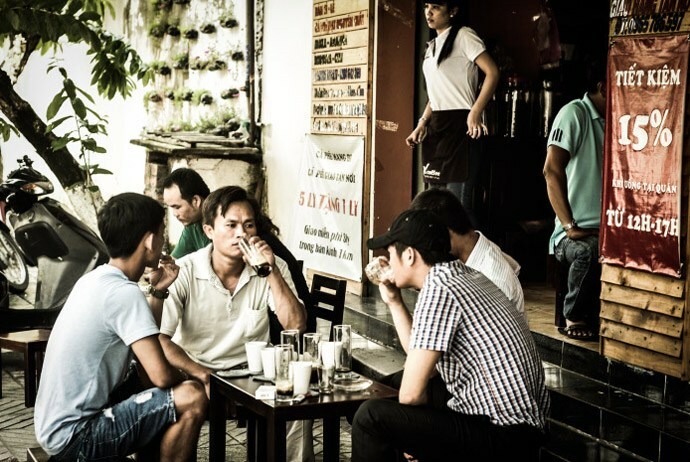 Sit and sip – this is how people drink coffee in Vietnam. In Vietnam, Vina cafe culture is as rich and deep as Vietnamese coffee is. Like most everything else in Vietnam, Vietnamese coffee culture is quickly changing. What makes Vietnam one of the most interesting countries to visit is that every aspect of the society here carries with its long history, pride and culture, and but it is constantly changing. And, Vina cafe is among those aspects. 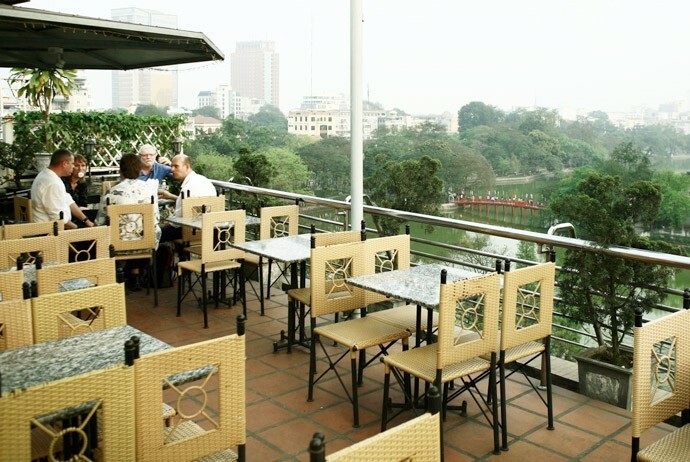 There are two biggest cities of Vietnam that strongly feature unique Vietnam cafe culture, which are Hanoi (Hà Nội) – the capital of Vietnam, and Ho Chi Minh City. Ho Chi Minh City, also known as Saigon, has coffee on high floor and underground whereas Hanoi has traditional cafeteria and street coffee. Hanoi cafe culture is not like other. Hanoians drink dark, caffeinated beverages and love sipping stronger blends with sweet milk and a spoonful of sugar outside on pavements. Vina cafe culture of Hanoi could be simply described in 3 words: subtle, concentrated, and slow, like their personality. There are two major types of coffee here, including black and brown coffee. 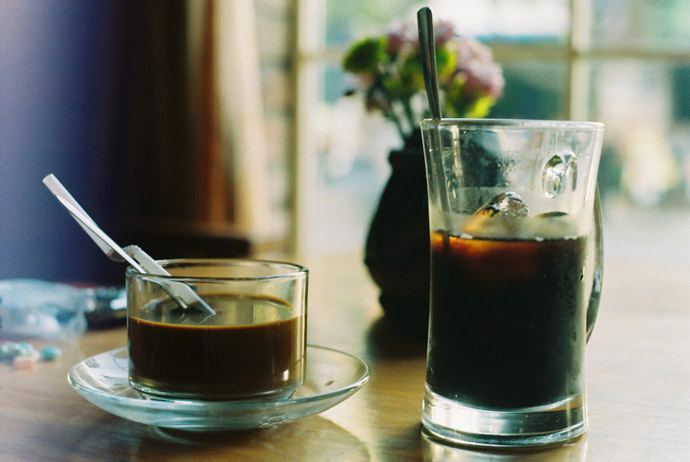 Nevertheless, due to the feature of the weather in Hanoi, so coffee types here are further divided into 4 specific types, including Ice brown (milk +ice + coffee), ice black (ice + black coffee), hot brown (hot coffee + milk), and hot black (hot black coffee). 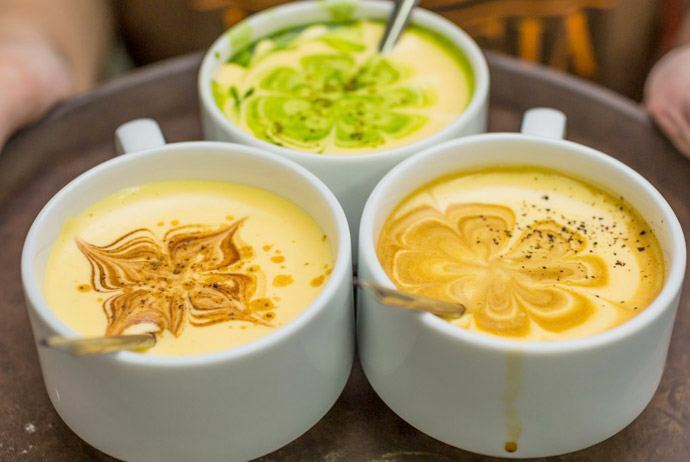 In addition, Hanoians also invented a unique kind of Vietnamese coffee named egg coffee, which is the combination of coffee and chicken egg basing on a particular recipe. Today, Hanoians like to sip Vietnam cafe in the morning time. The image of Hanoians sitting on small chairs in pavement with a cup or glass of coffee has become more and more popular nowadays. 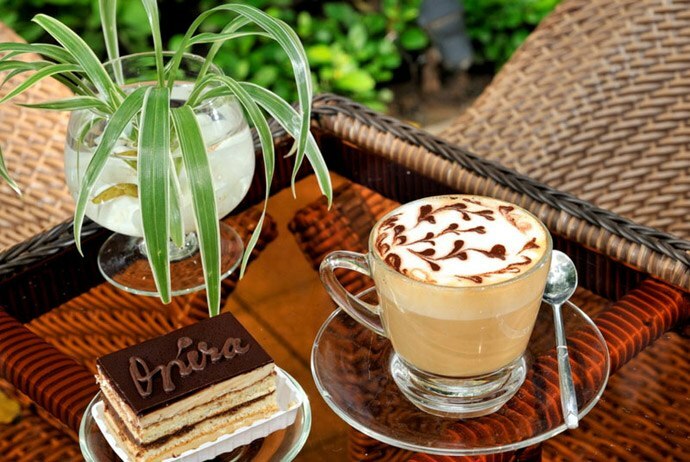 For many Hanoian, the factor that matters most when it comes to Vietnam cafe is not its luxuriousness but its quality. Old people like cafes on old streets or inside the deep street alleys while young ones prefer the busy and noisy atmosphere of luxury and modern or pavement cafes. About street Vina cafe in Hanoi, soaking up the street rhythms and embracing the old but still attractive atmosphere of Hanoi from all its sides, you will tenderly realize that nothing could be fresher after hardworking days than sipping a cup of coffee on the busy street near Sword Lake, also known as Hoan Kiem (Hoàn Kiếm) Lake in Vietnamese. Similar to Hanoi cafe culture in terms of image: from young professionals to old elderly men, they sit outdoors sipping iced coffees in the morning till anytime later and watch people walk by the bustling streets and speeding mopeds. However, the daily life in Saigon seems to be more dynamic than it is in Hanoi, making its coffee culture also a little bit different from Hanoi’s. 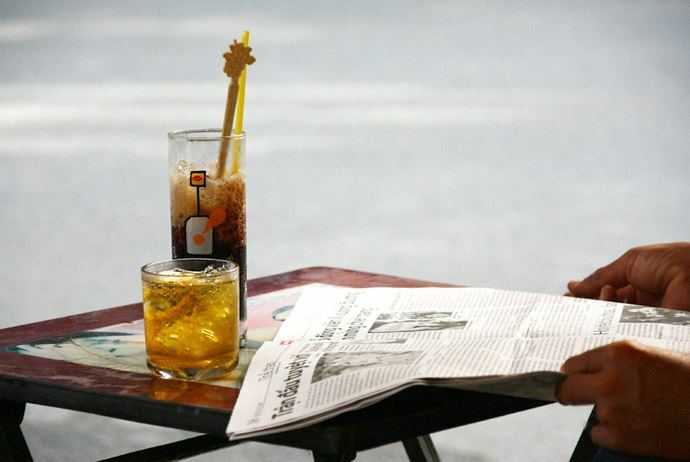 Vina cafe culture in Saigon is very different and special when compared with Hanoi – little coffee and lots of ice. Interestingly, coffee cups in Saigon rather look like a coca-cola cups in terms of volume, color and function. When visiting a café shop in Ho Chi Minh City, call a coffee, you will received a very big cup. You just need to enjoy and do not need doing anymore. Actually, Saigoneses drink coffee much like “Slaking” rather than “sipping” or “enjoying”. And, only in Saigon, you can drink coffee using a straw. While in Hanoians use small ice to drink tea and big ice to drink coffee, then Saigoneses do against. The culture of drinking coffee in Saigon is super sugary, and you almost could not feel any bitter taste of coffee. It is said that most of Hanoians cannot drink 1 coffee cup in Saigon, as it is too much and too sugary, while Saigon people hardly drink Vietnam cafe in Hanoi as it is too concentrated. Coffee has been an indispensable culture of Saigoneses. Not mention to refreshing for hard-working hours, coffee in Ho Chi Minh City is also a spiritual food, a meeting place for partners, friends, and also a perfect dating place. If you are not a Saigonese, yet have chance to visit this vibrant city, do not forger tasting café on any corner of Saigon streets to experience the life of Saigoneses. If in Hanoi, you will be served with a cup of black coffee with milk, then in Saigon, you will be served with a cup of coffee on black. Similar to coffee, yogurt was initially brought to Vietnam by the French and has been adopted in Vietnamese culinary tradition. Creamy and rich, yogurt here is served with a variety of toppings, such as fresh mango or fermented rice, or even coffee. Though it may sound like a strange combination, rich yogurt pairs well with black Vina cafe, in fact. 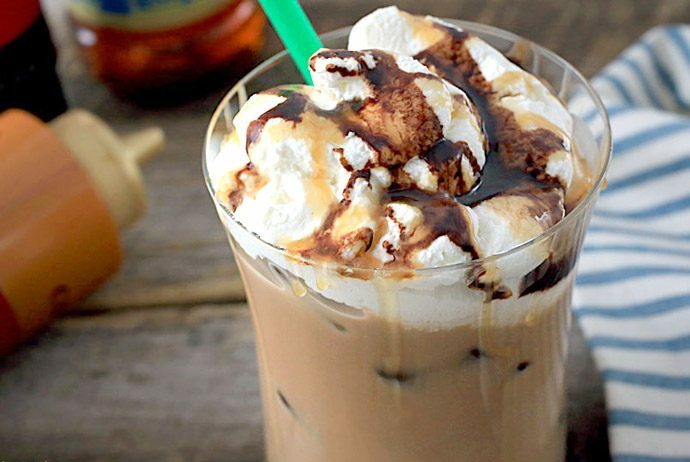 So, just simply stir and sip. If you have not tasted this yet, then you definitely skip such a unique drink in Hanoi. Egg yolk which is whipped with the condensed milk along with an airy froth when being combined with dark coffee creates a rich concoction. Egg coffee was initially made in 1940s when milk was very scarce, thereby egg yolks were provided as a fine replacement. 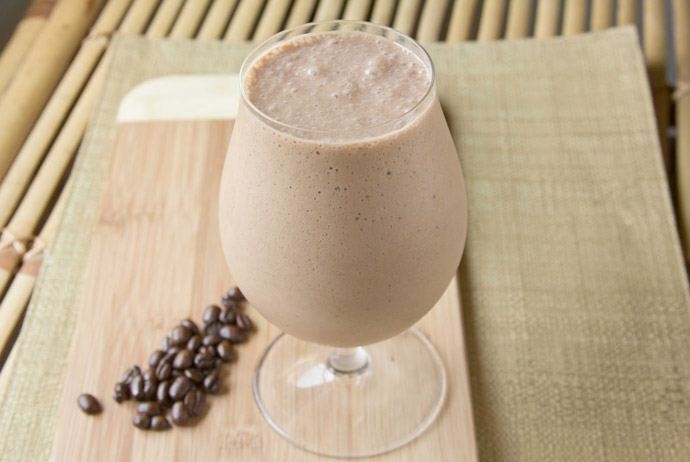 Coffee has found a new way of itself into smoothies in a few recent years. A slight touch of Vietnamese coffee combined with fresh fruits is populated in juice shops, and sometimes yogurt or cashews are used as alternatives for fresh fruits. In Hanoi, you should try coffee blended with avocado and banana, also called in Vietnamese as “sinh tố cà phê chuối bơ”, while in Ho Chi Minh City, you can go for coffee blended with sapodilla, a tropical fruit with a custard-like taste, also called in Vietnamese as “sinh tố cà phê sapoche”. They are both tasty and could give you a new fix for traditional Vietnamese coffee while still provide you with great vitamins at the same time. This might be the simplest type of Vina cafe in Saigon. It is just a cart on the sidewalk with some small plastic stools arranged around. You could find this type of café all over Saigon, often on quiet streets or tucked into large streets’ alleys. Despite the cart is movable and the chairs are easy to arrange, tradition along with customer awareness of the site warrants that these carts do not usually change the location where they set up to sell beverages. There are also many other larger cafes occupying a small storefront with an open-air environment. Within the store, there is a register and also a display case of various Vietnamese coffee roasts at different prices. Despite there are seats inside, this type of cafe almost always have comfortable outdoor seating right against the storefront which guests prefer, if it is not raining. Besides, you can find a simple iced tea in such locations. 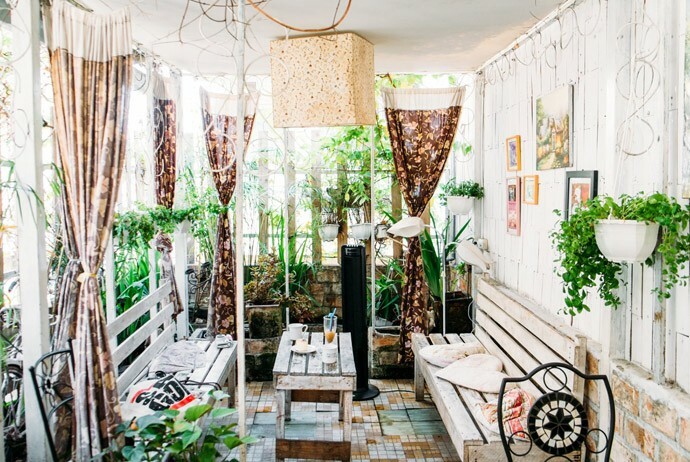 Just similar to street-side cafes, these open-air small cafes are found throughout Saigon. Even, you can find at least one of such cafe on every block. Street-side or open-air environment could not suitable for every customer at all times, and that is why there are more and more secluded cafe shops which are often indoors. These indie cafes are designed with various concepts and decorations. 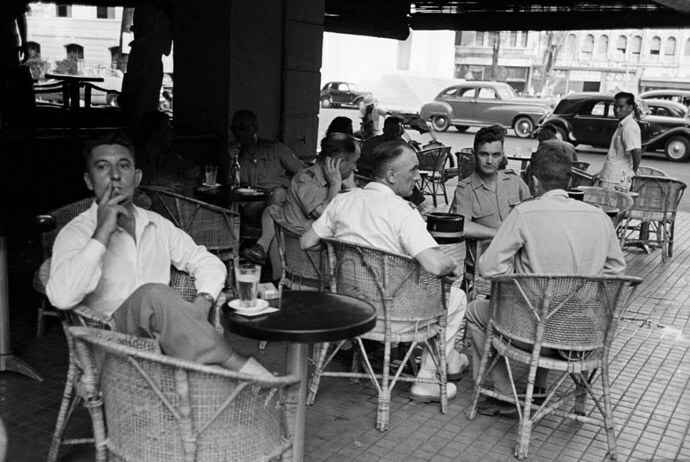 There are dozens of such cafes in Saigon but not as many as open-air cafes introduced above. The owners might have a wide selection of imported wine or craft beer as well as handmade pastries for a more inspired and complete menu than typical offerings of a café. In general, Vietnamese people are very passionate about Vina cafe as well as the culture they have established around its renown. From Hanoi capital in the far north, Hoi An (Hội An) on the central coast to Saigon in deep south, coffee has become a culture among Vietnamese and also a symbol of the nation.